If you want to take charge of your health and improve your physical condition, come to the Dr. Seagrist Diet Clinic to find all the help you need. 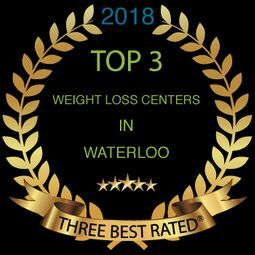 We design medically supervised diet plans at our clinic locations in Kitchener-Waterloo and Woodstock that are tailored to fit the specific needs of your body and metabolism. With more than 20 years of experience, you can trust Dr. Seagrist to help you lose between 15-20 lbs every month while on his diet. There are many reasons that you could want to lose weight. In addition to the improved overall health that comes from a proper diet, you may want to feel confident and look your best at a wedding, on vacation, or at your next special event. Our team will make sure that you look and feel great on you special day. If you suffer from additional health problems, your general physician may also recommend weight loss to help manage your symptoms. We work with clients of all ages and backgrounds at our clinic. Regardless of your motivation, Dr. Seagrist and his team will give you everything you need to get started and work hard to reach your goals. Many people struggle with weight loss. If you have previously lost weight only to slowly regain it, we want you to know that permanent results are possible. People who use fad diets to lose weight will commonly experience difficulties when they begin to reintroduce other foods. Our team can help you identify several additional reasons why you struggle to lose weight, including lifestyle, habits, and hormones. Our plan can help you succeed because we allow you to eat regular foods right from your grocery store. With our guidance and support, maintaining your weight loss can be done without a constant struggle. We are proud to be a family-owned business. Dr. Seagrist and his wife founded their first Kitchener-Waterloo clinic in 2006, and soon expanded with a second location in Woodstock. We operate with a small team, and two of our nurses were former patients before joining our work family. This ensures that we are able to form strong relationships with our clients and provide a unique level of personalized care. Contact the Dr. Seagrist Diet Clinic to schedule your first consultation. Take the first steps towards a healthier life. We can help maintain your weight loss.